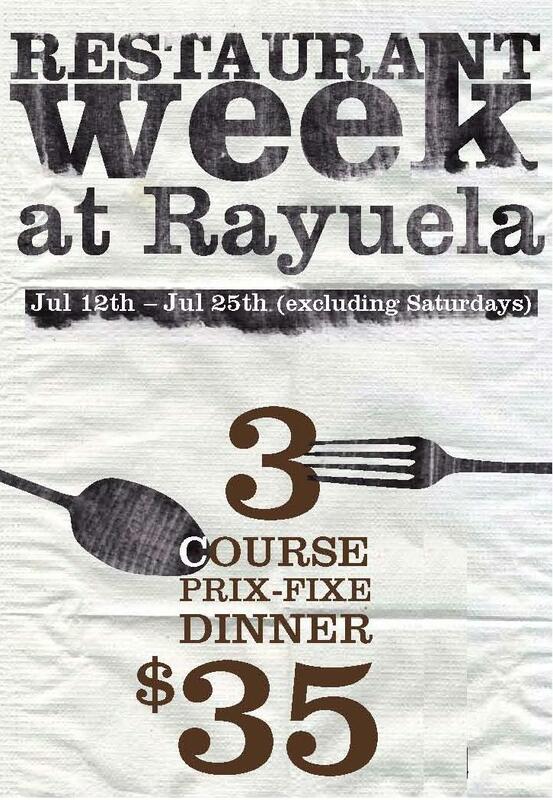 Last night my friends and I had dinner at Rayuela for Restuaurant Week, which ends tomorrow, July 25th. Rayuela (Spanish for “hopscotch”), located on the Lower East Side at 165 Allen Street, serves up 'Freestyle Latino' cuisine, which Executive Chef Máximo Tejada redefines traditional Latin American and Spanish dishes including ceviche and tapas. We started off with a refreshing gazpacho, followed by shrimp guacamole with chips, and then started with our 3-course meal. For just $35 I had the corvina ceviche with calamari and sweet potato croquettes as my appetizer, grilled swordfish with rocoto coconut chaufa (mix of chorizo, shrimp, mussels, and eggs) with an aji-amarillo mango sauce as my main course and chocolate custard with coffee granite and white chocolate mousse for dessert. For $15 more I added a tasting of wines from Spain. Everything was delicious, as I knew it would be, since I went to Rayuela for dinner during last Restaurant Week. It's definitely a place I enjoy coming back to, especially with excellent and prompt service. 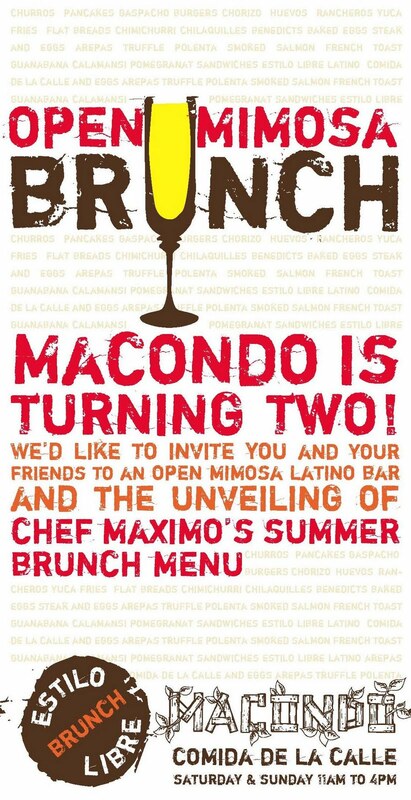 I look forward to having brunch (Saturdays and Sundays from 11am-4pm) at Rayuela's sister restaurant, Macondo, located at 157 East Houston Street, near Allen Street. 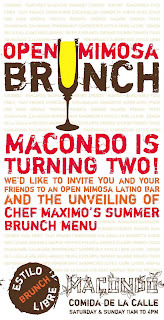 For brunch, Macondo is hosting an open cava mimosa brunch. Guests enjoy unlimited cava with fresh seasonal juices such as mora, mamey or guanabana for $7 and a menu of summer Estilo Libre Latino brunch items, such us Huevos Rancheros, Lamb burger, Isla Mangu, Blueberry Pancakes, Gazpachos and more. On Sundays, a truck sponsored by Leblon cachaca will serve complimentary virgin caiprinha sorbets outside Macondo while DJ William spins Latin beats into the evening. Diptyque Annual Sample Sale - Extended!